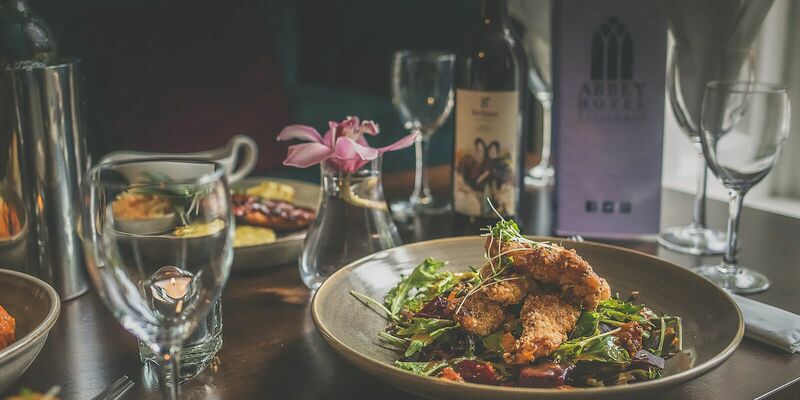 Why not experience the culinary delights of the Multi Award Winning Chefs at the the 4* Abbey Hotel Roscommon, for a dining experience where casual elegance and sohpistication meets in a timeless relaxed atmosphere. 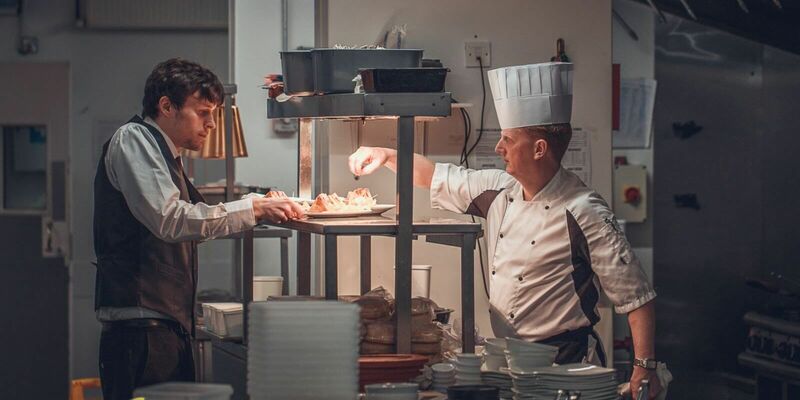 County Winners of the RAI Best Chef & Best Hotel Restaurant Award 2018. 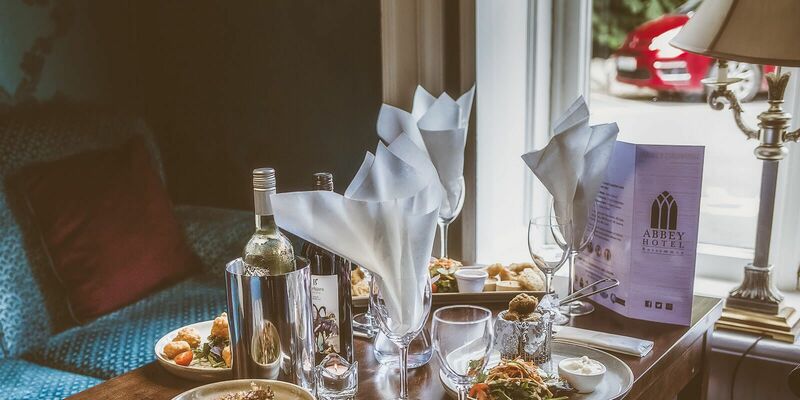 The newly refurbished Restaurant at the 4* Abbey Hotel in Roscommon has been recently refurbished to an exceptionally high standard and offers a varied range of dishes prepared from only the freshest of locally sourced produce and served with great care and attention to detail, therefore making it the perfect setting, whether dining in Roscommon for business or pleasure. 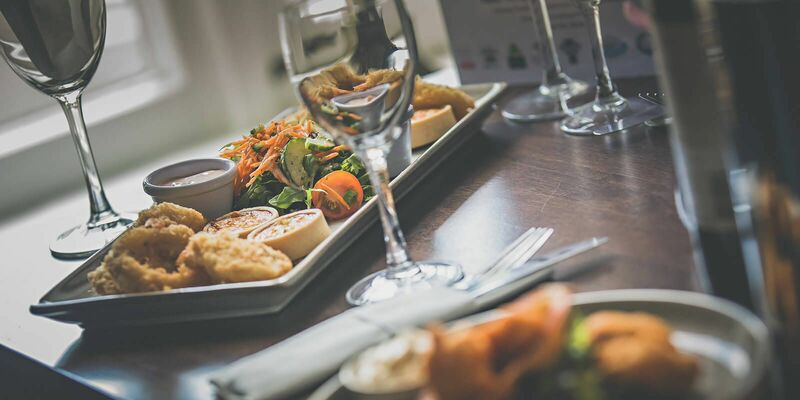 We offer an extensive Seasonal Bar Food Menu for those wishing for a less formal experience. Lounge Food is served daily from 4.30 - 9.00 p.m. 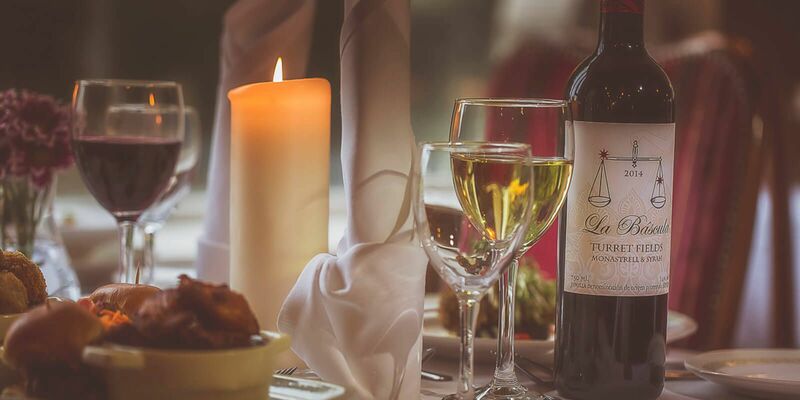 It is advisable to book dinner reservations as our restaurant can be very busy at weekends and during busy peak season. You can also book via our Restaurant Booking Enquiry Form on our website. 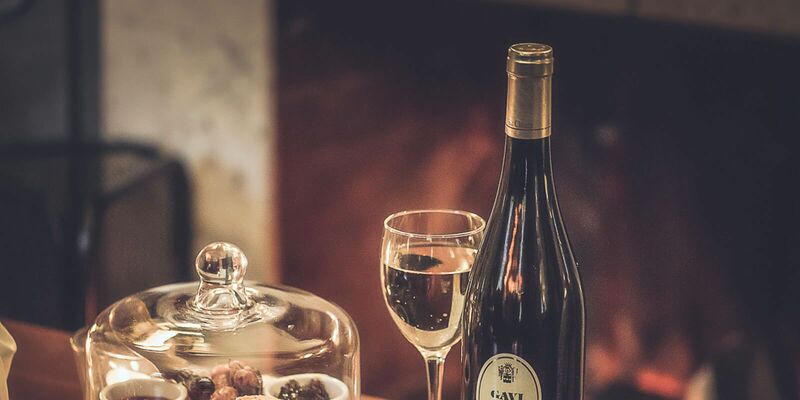 After dinner guests can relax by the open fire in the luxurious newly refurbished lounge areas or in the Abbey Hotel Bar. There is an extensive drinks and 'Wines of the World' menu to choose from and range of Cocktails are also served including the RAI award wining 'Apple of my eye' Martini. We also serve an extensive range of craft beers, whiskeys and liquors. 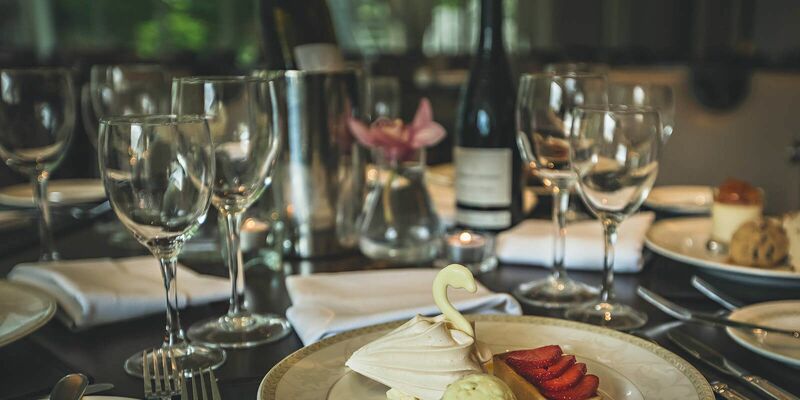 We also serve a Four Course Lunch Menu in our award winning Restaurant. 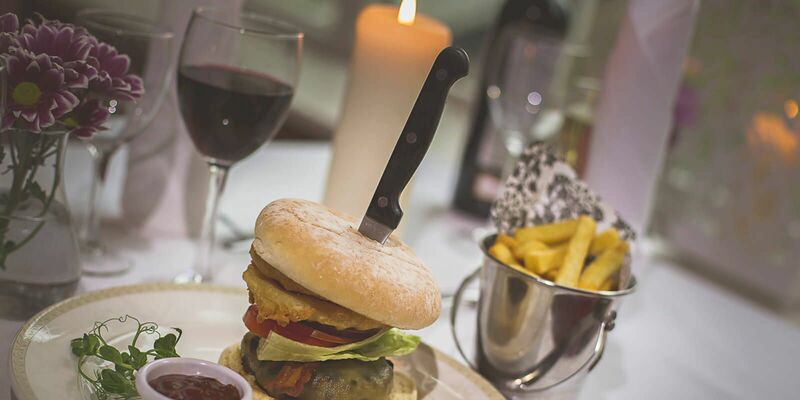 Dinner is served from 6pm - 9pm each evening with Seasonal Bar Food served from 4.30 - 9.00 p.m daily. 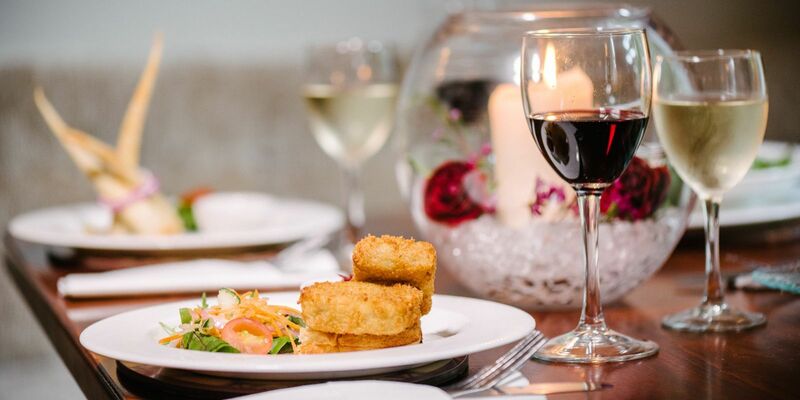 Our exquisite Dinner Menu comprises of a Set Menu or your can choose from our A La Carte Menu. Special Occasion Menus are available for Dinner Dances, Gala Balls, Christenings, Birthday Parties, Communions, Confirmation and Retirement parties.